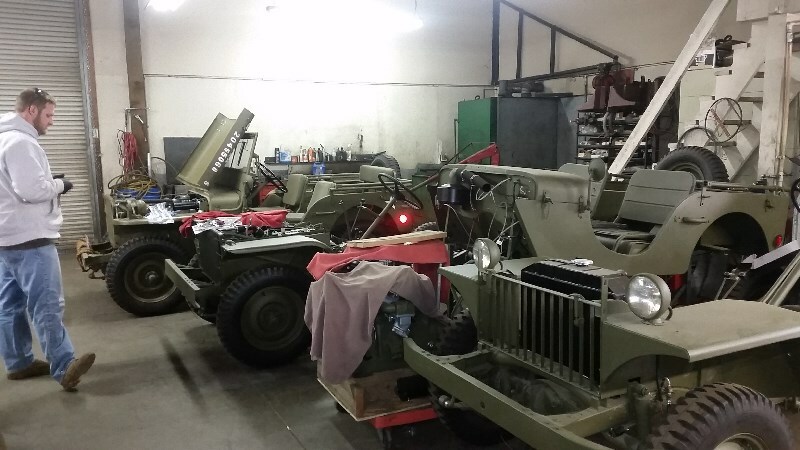 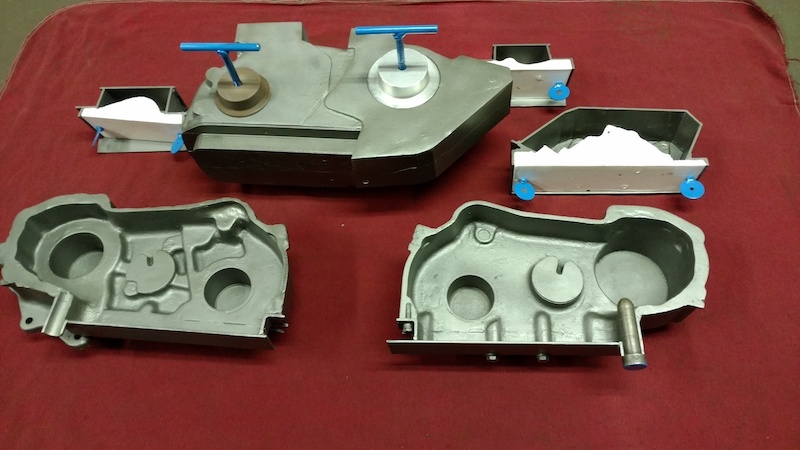 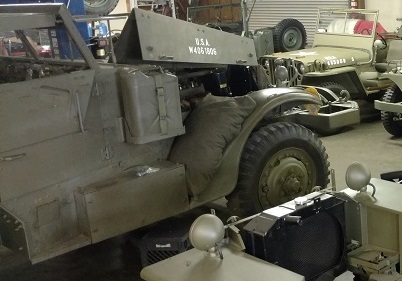 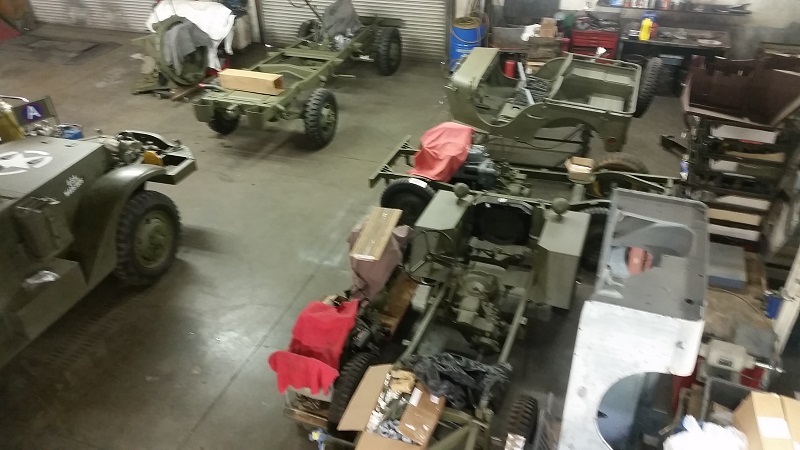 Various MVs in the workshop. 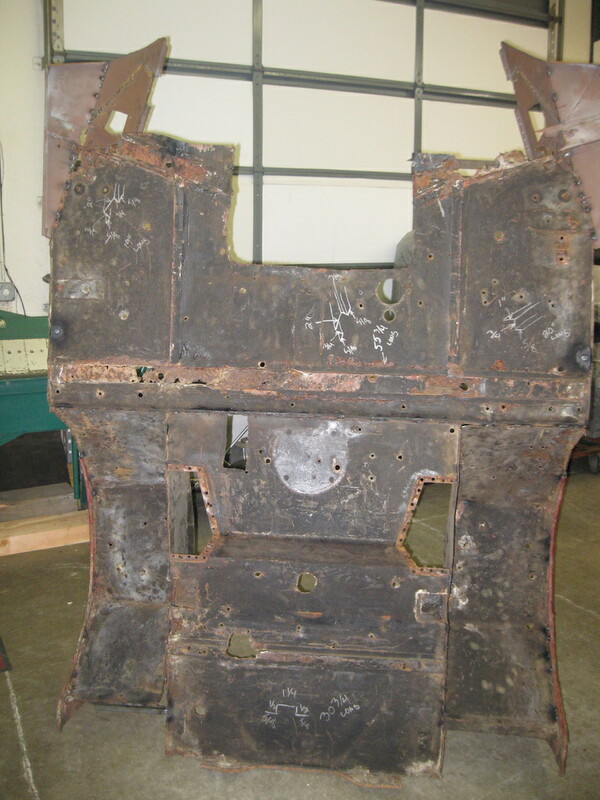 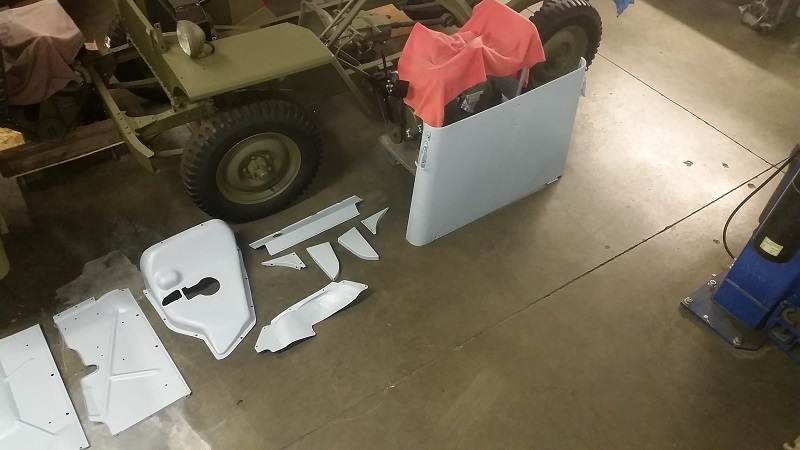 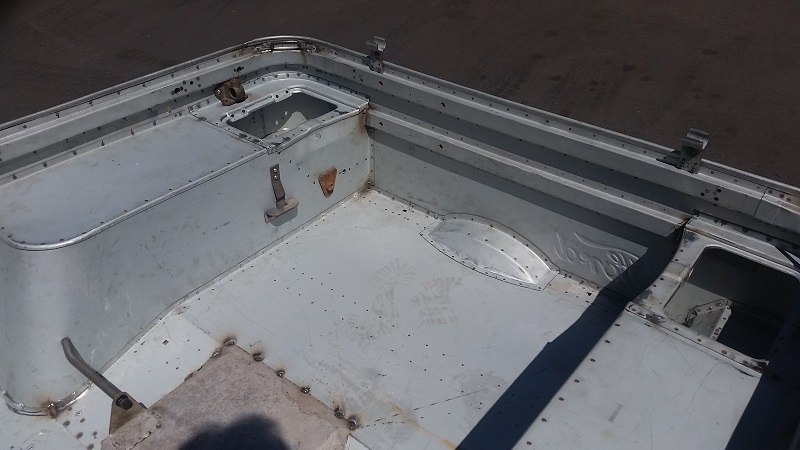 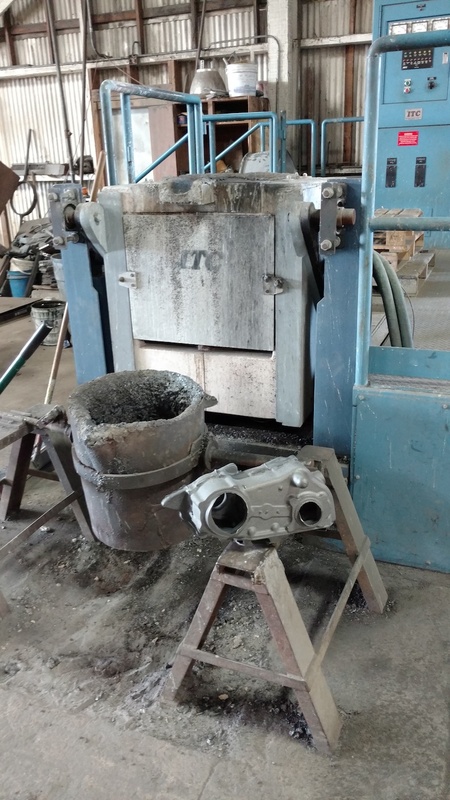 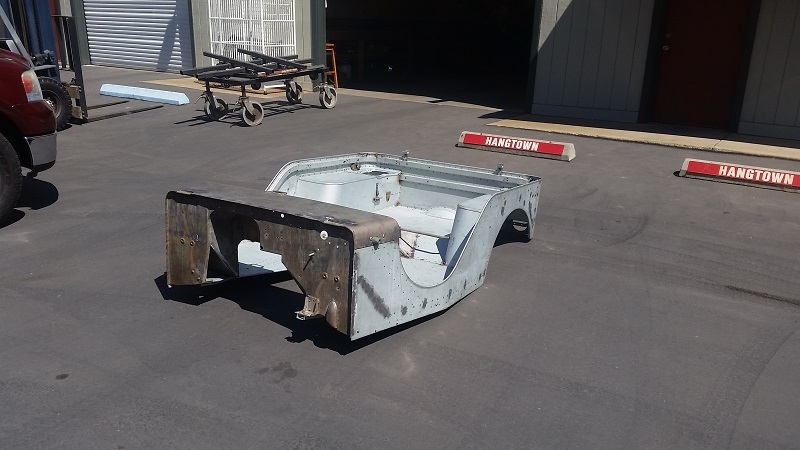 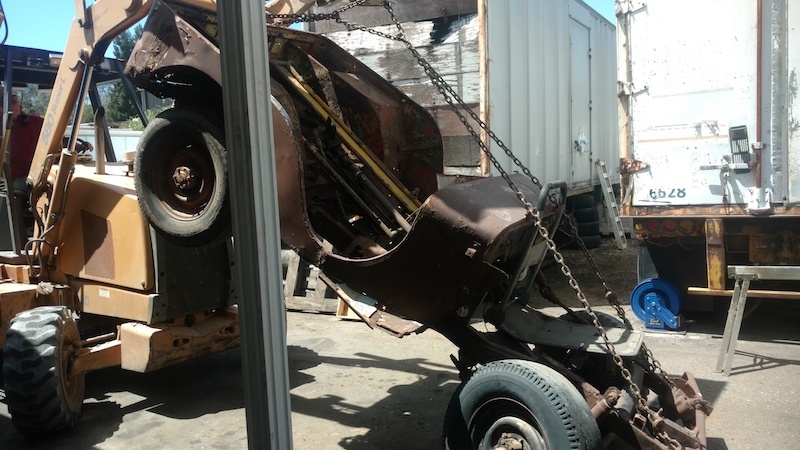 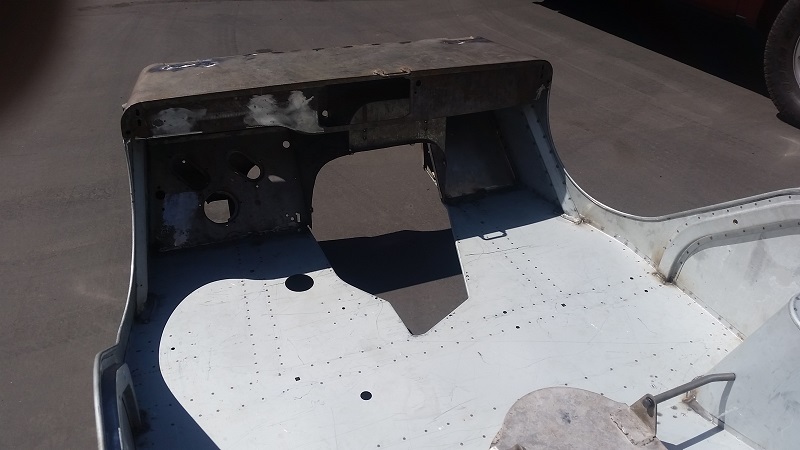 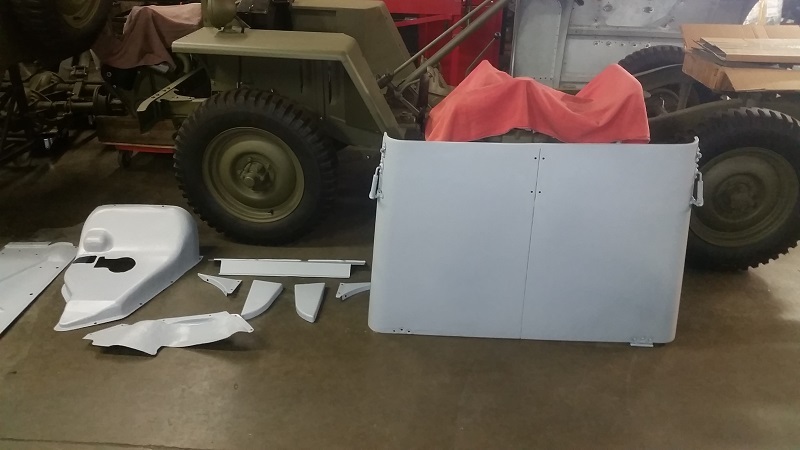 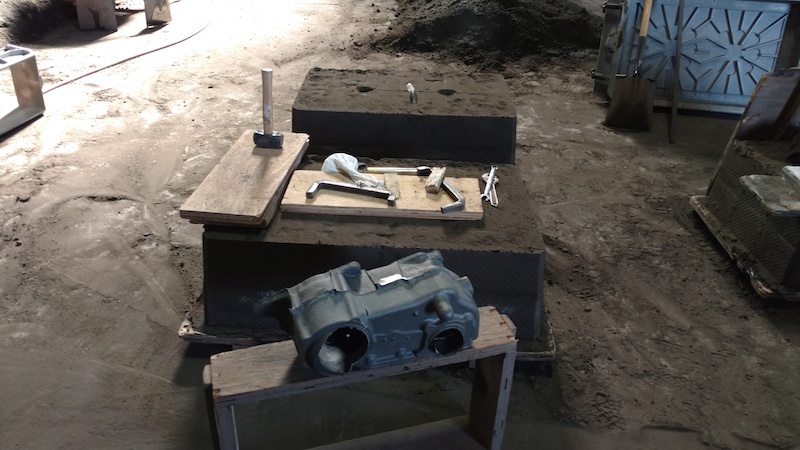 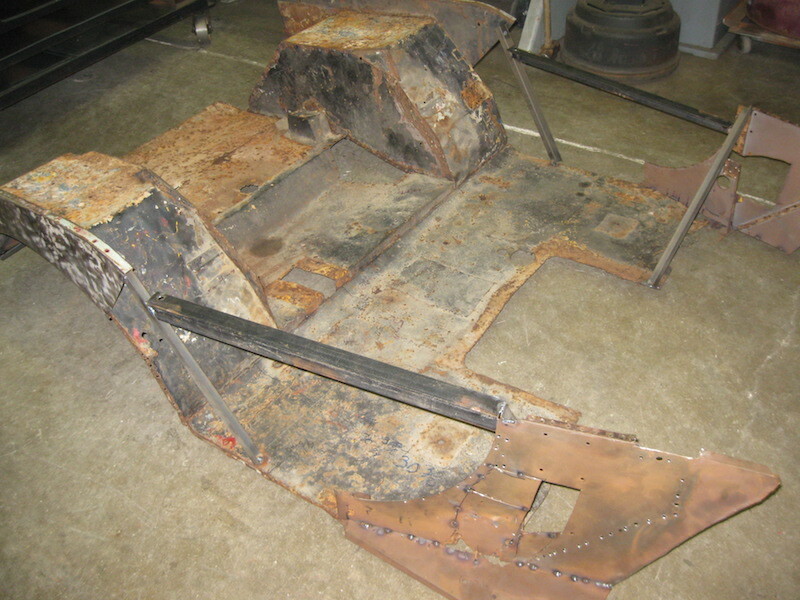 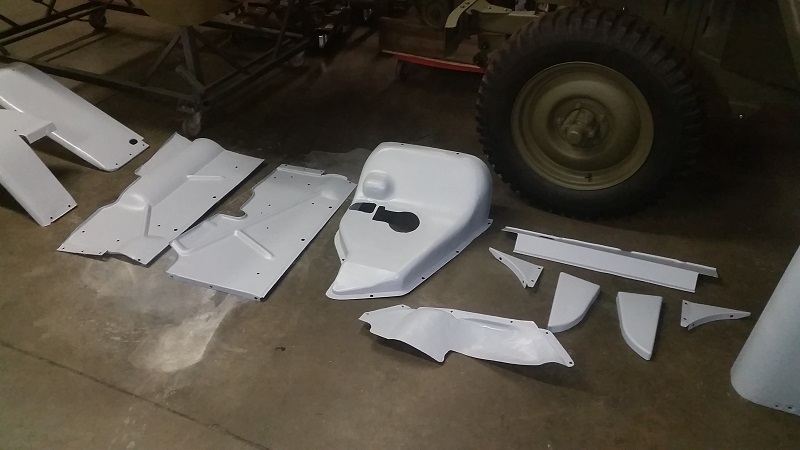 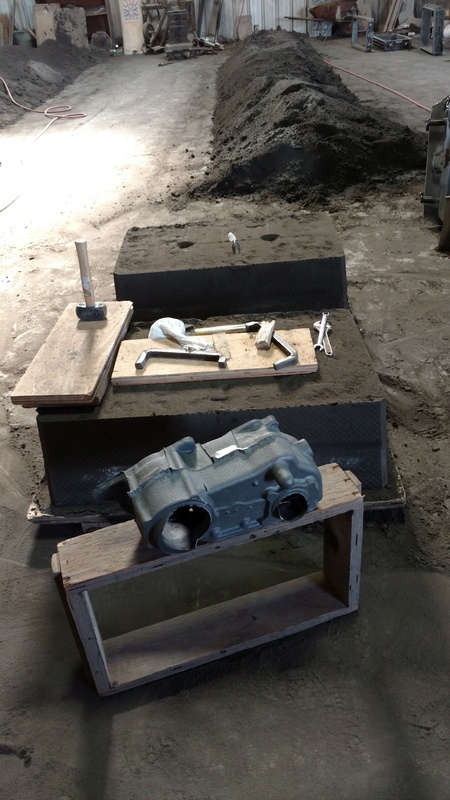 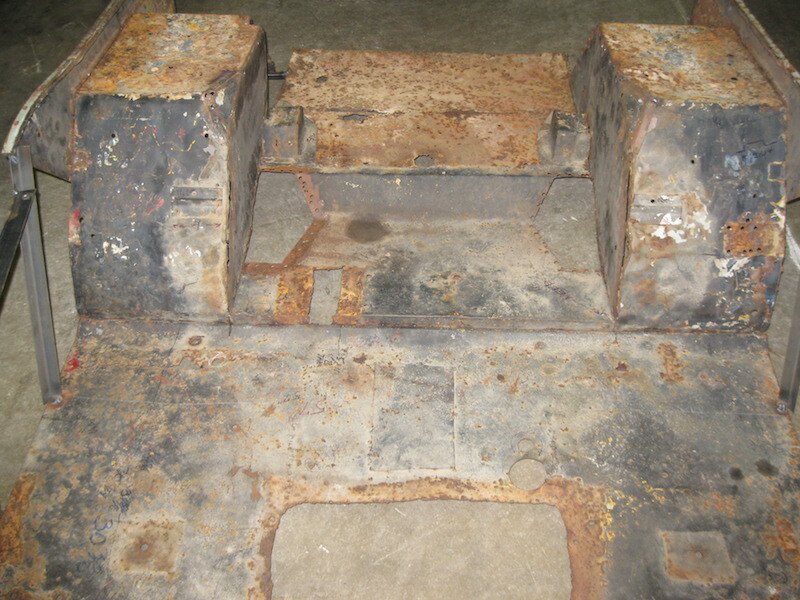 Olav's 1941 GP for the Pearl Harbor Museum in Hawaii is currently under restoration. 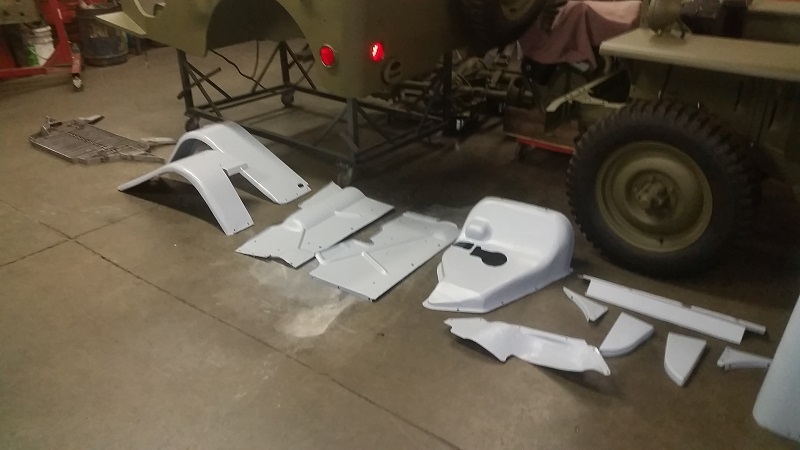 ANOTHER BODY ALMOST DONE. 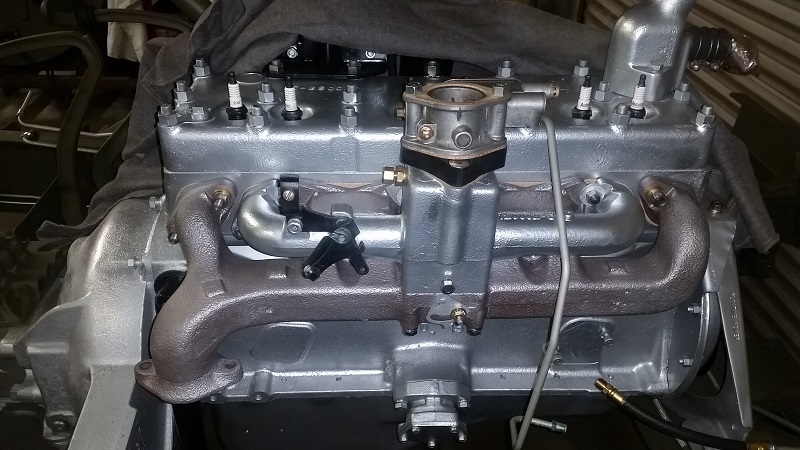 1941 FOR GP BODY FOR A CUSTOMER. 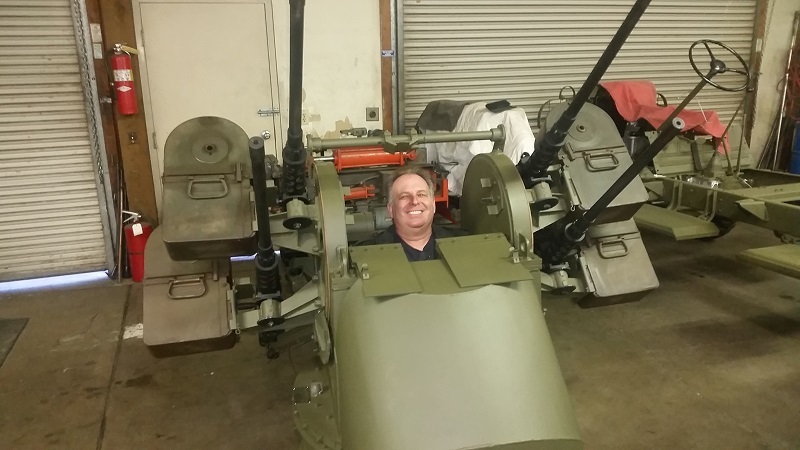 Test of Shaun's GP Body. 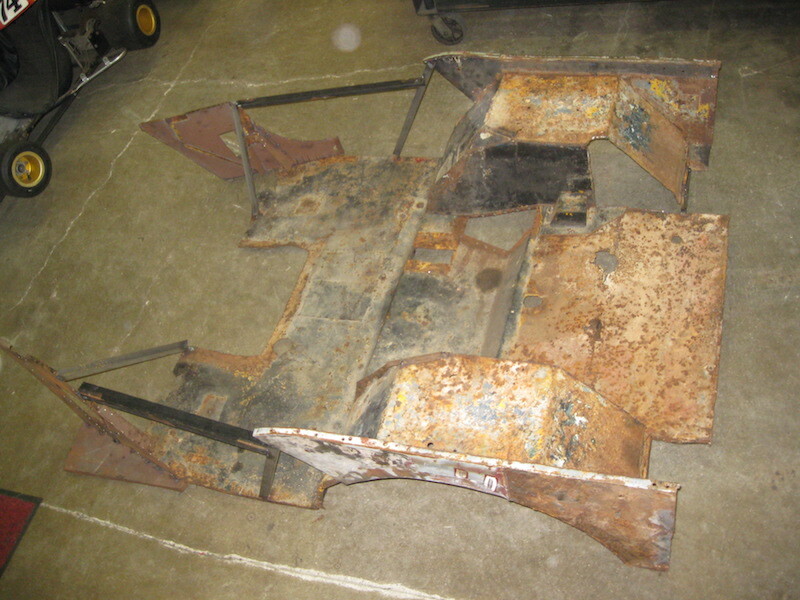 We kept as much of the original body as possible. 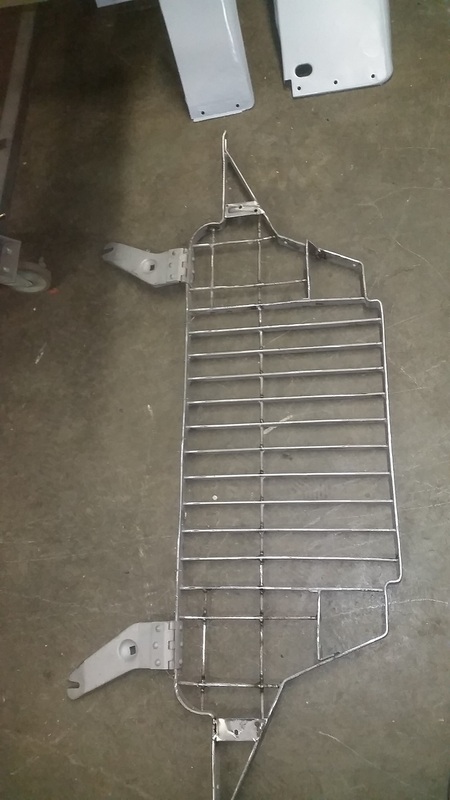 Over 150 hours to get the body to this point. 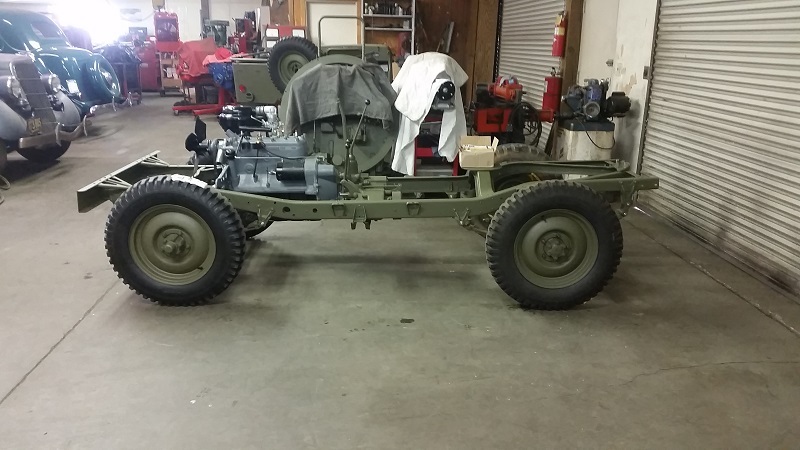 Another jeep rolls out of the shop! 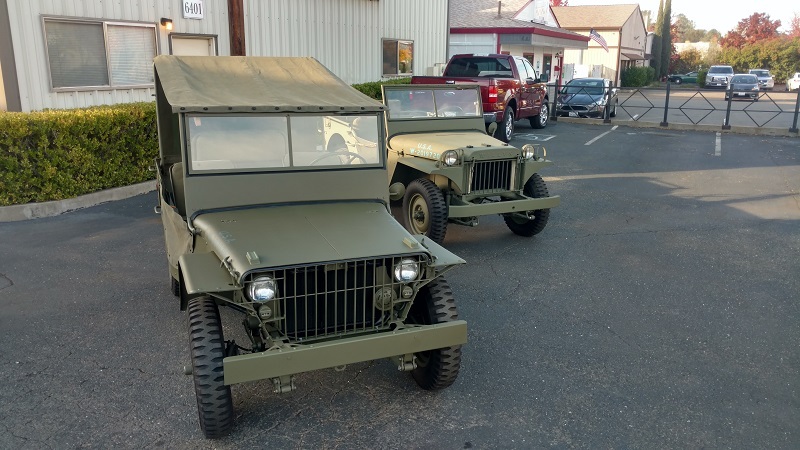 This is the latest jeep to leave the shop. 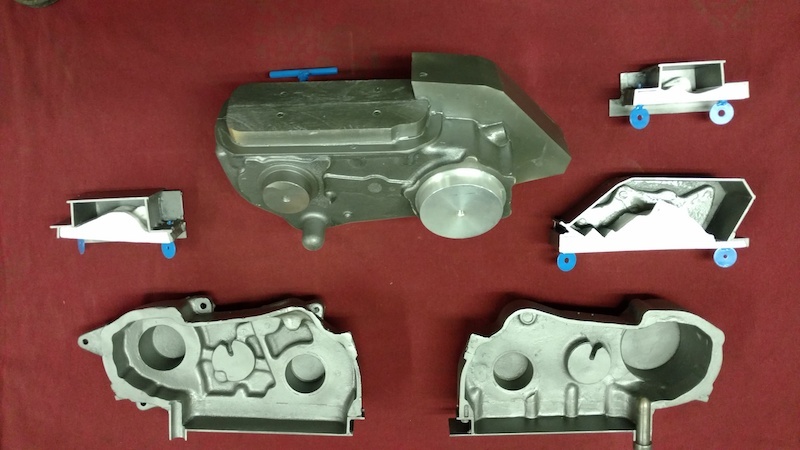 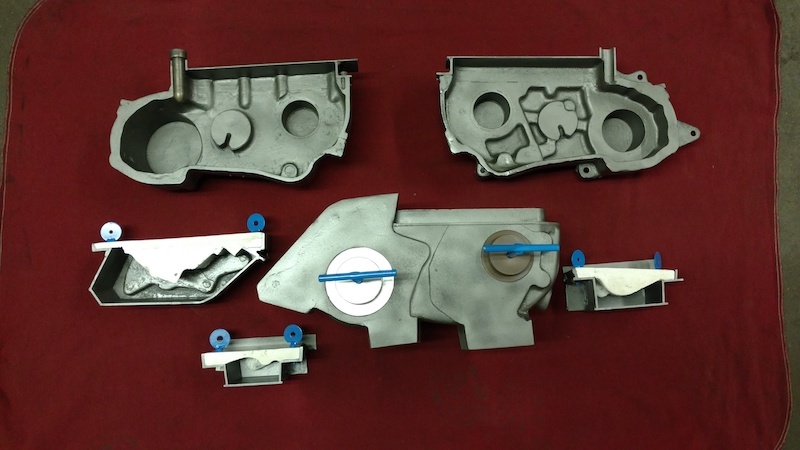 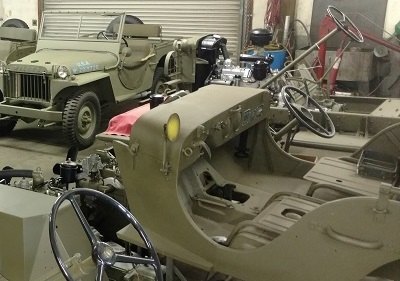 It is the 1941 FORD GP on the left. 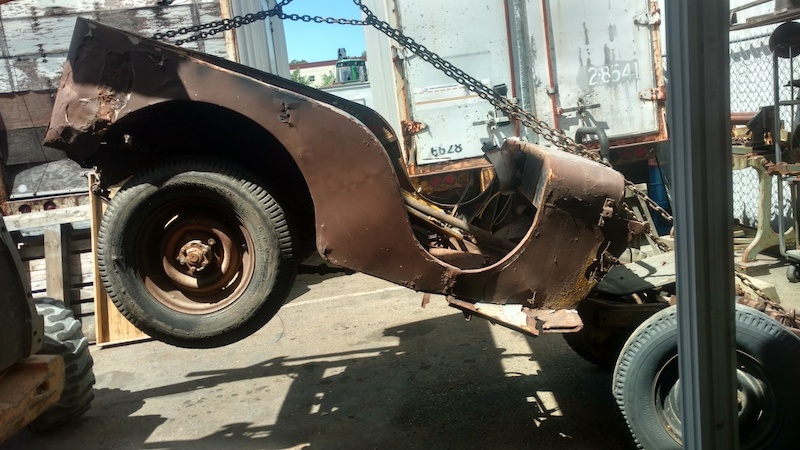 It will go to the Pearl Harbor Memorial, Hawaii for the rest of its life. 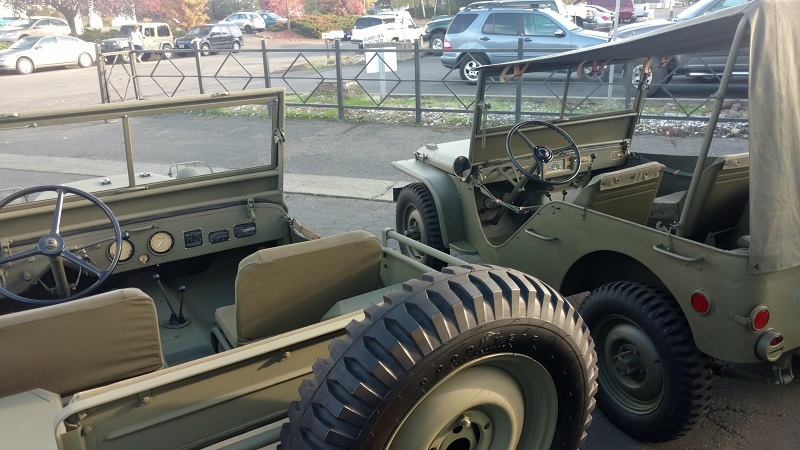 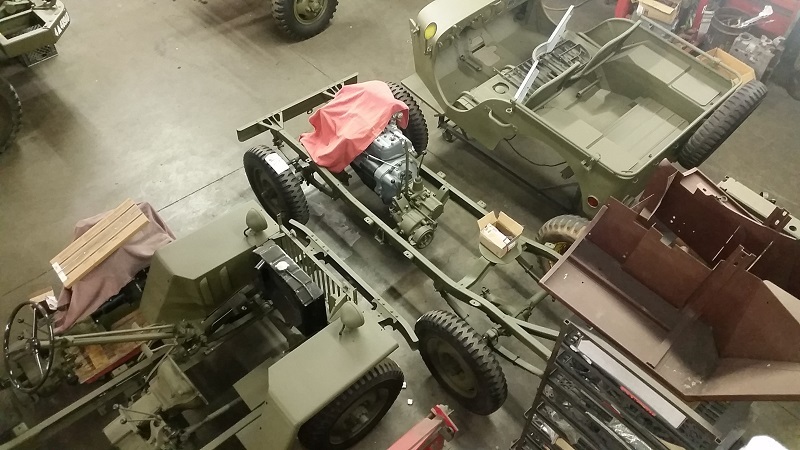 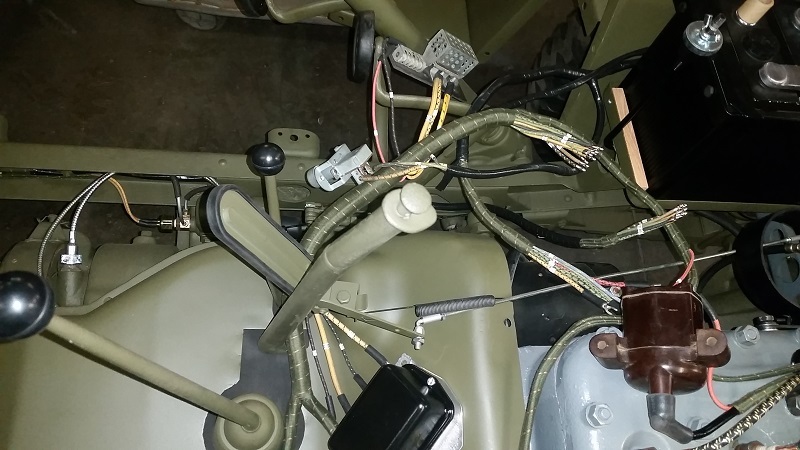 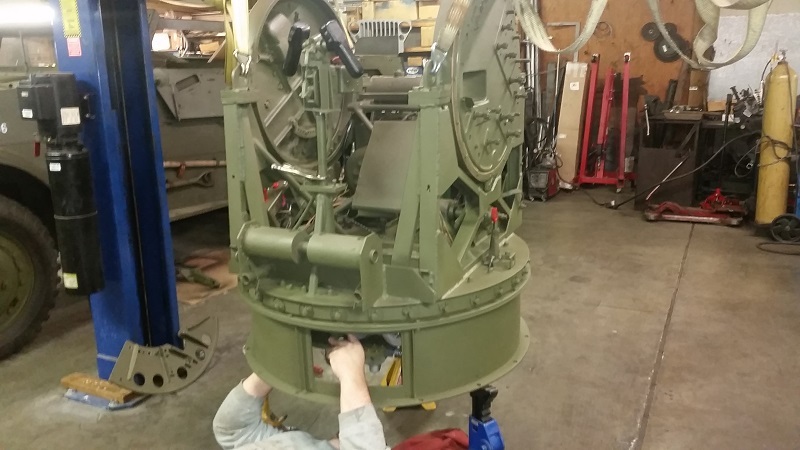 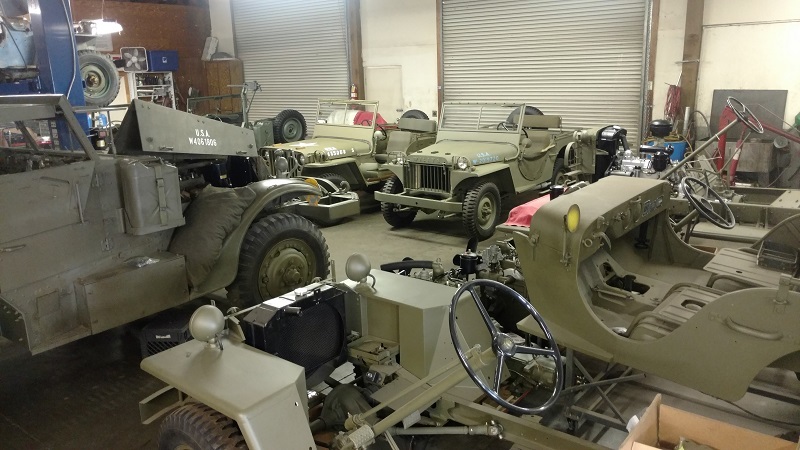 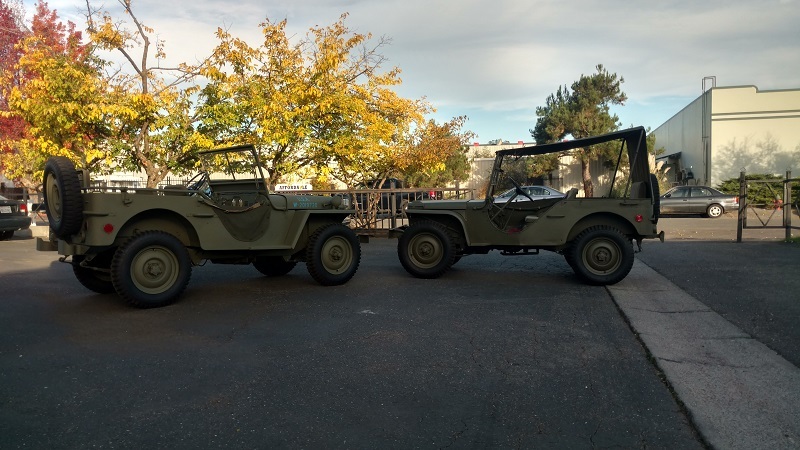 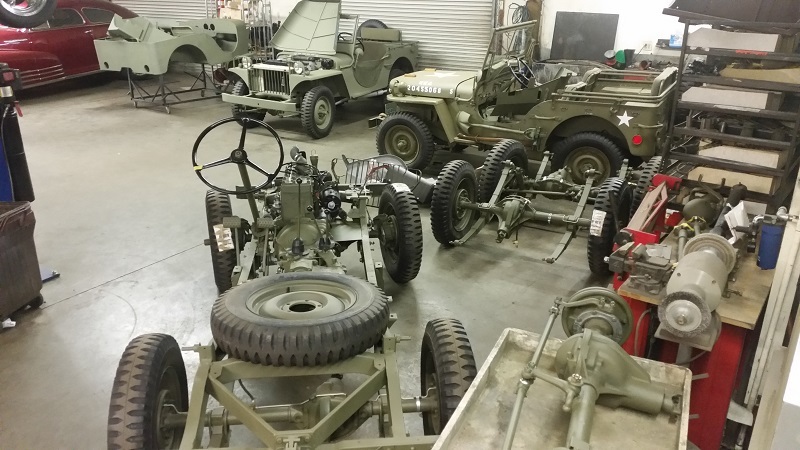 The jeep is going in time for the 75th Reunion of Pearl Harbor Survivors. 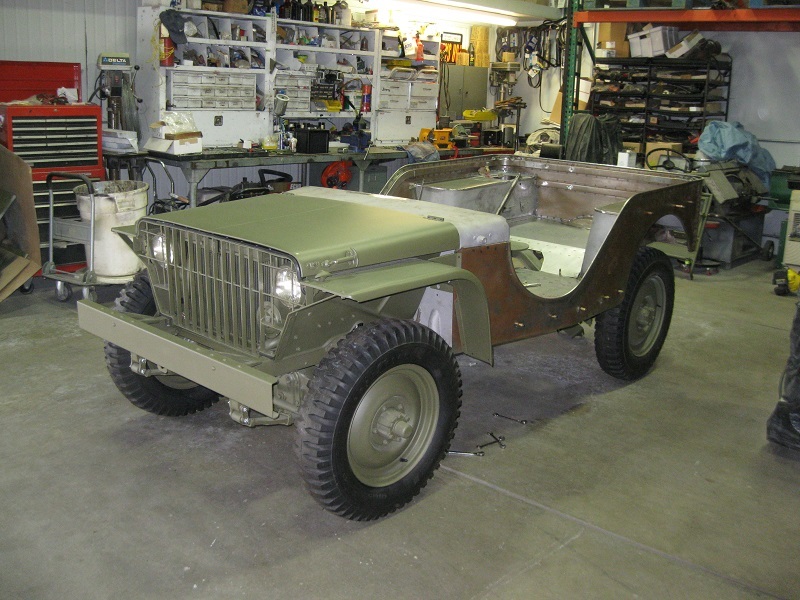 It will be viewed for everyone at the ceremony on December 7th. 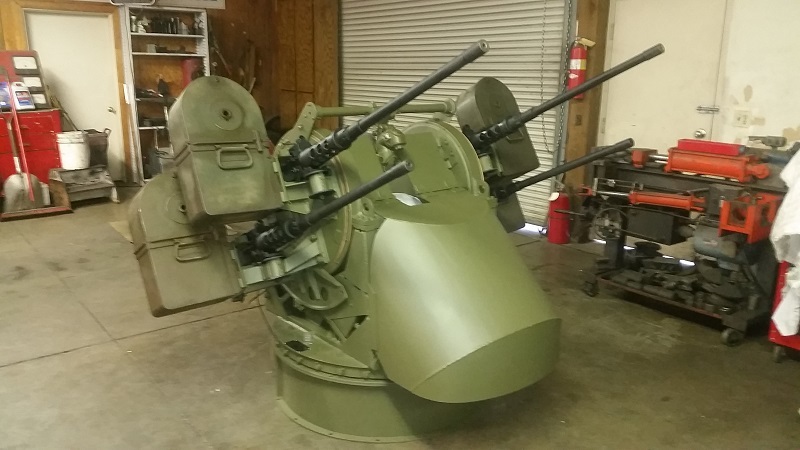 I finished it just in time. 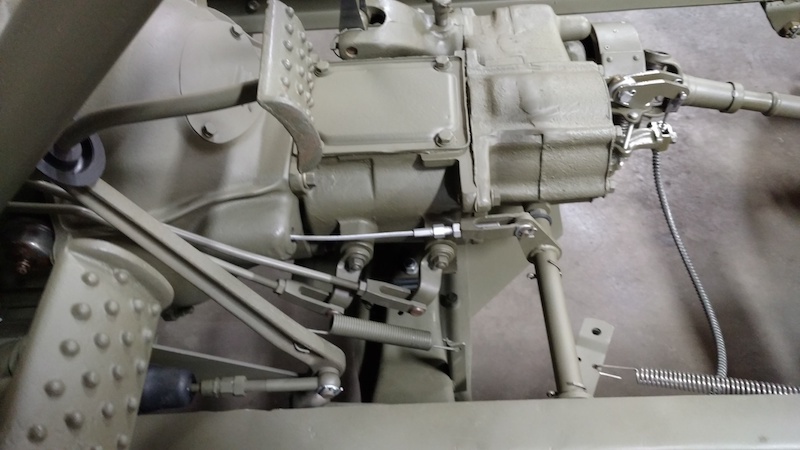 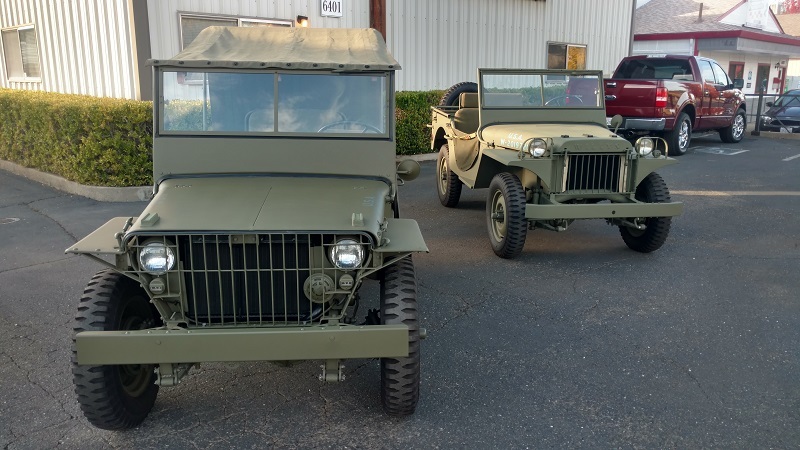 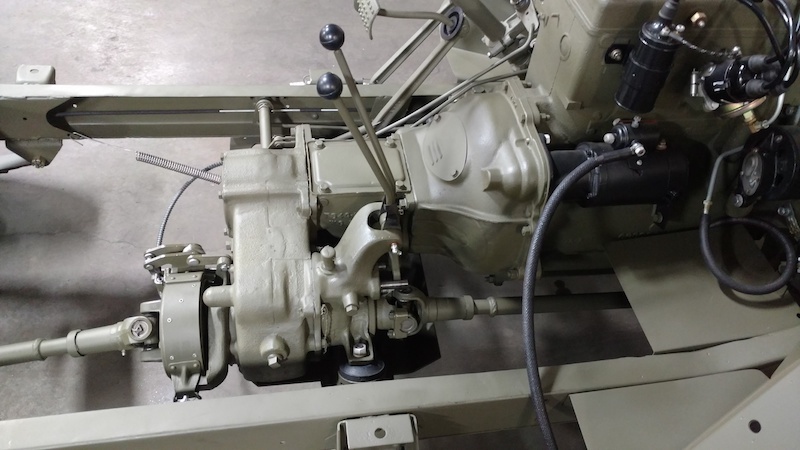 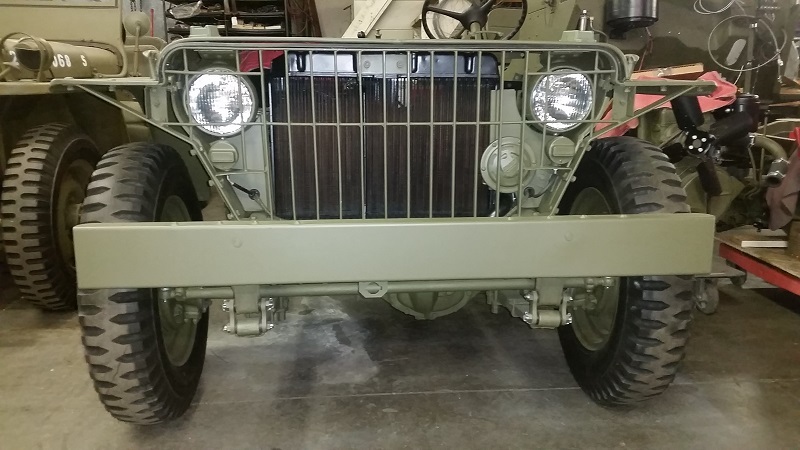 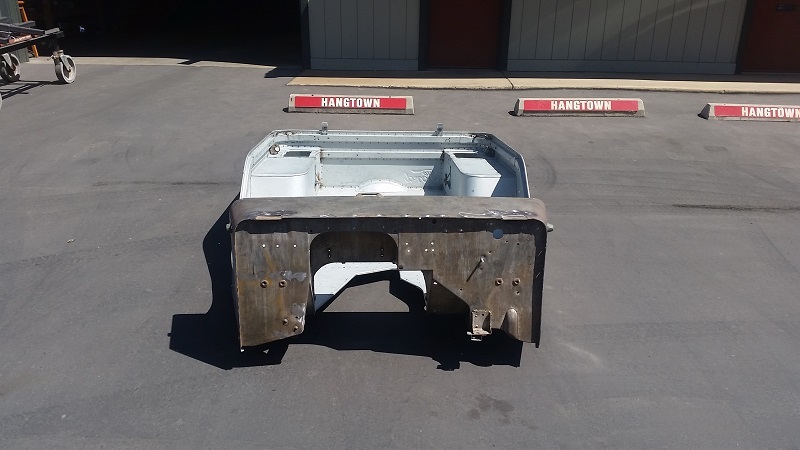 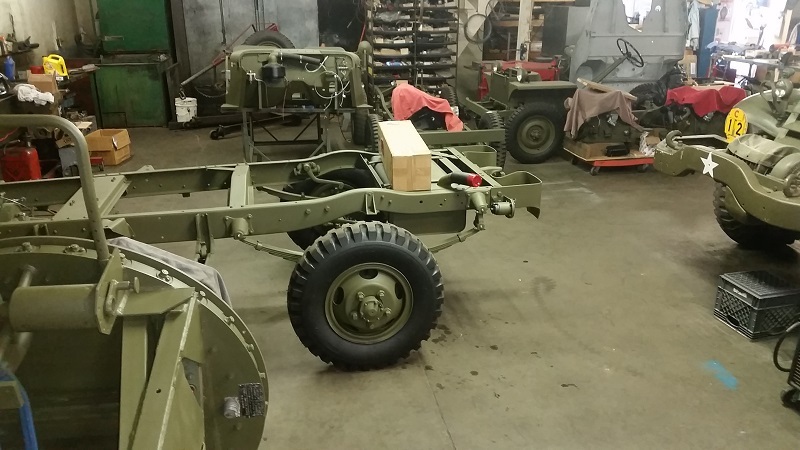 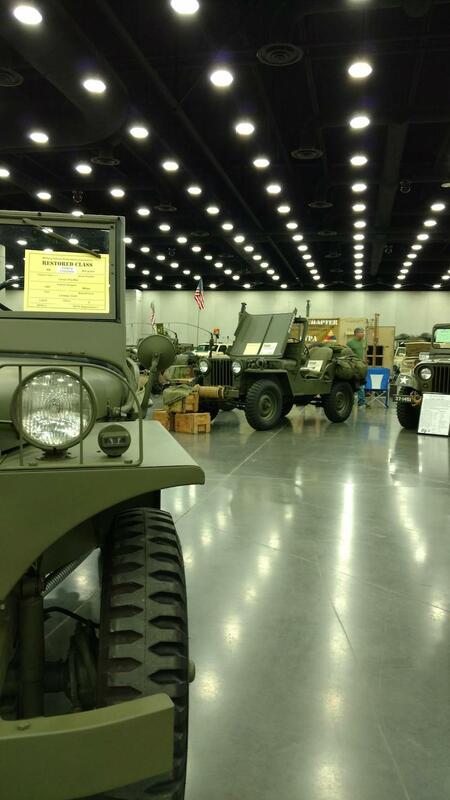 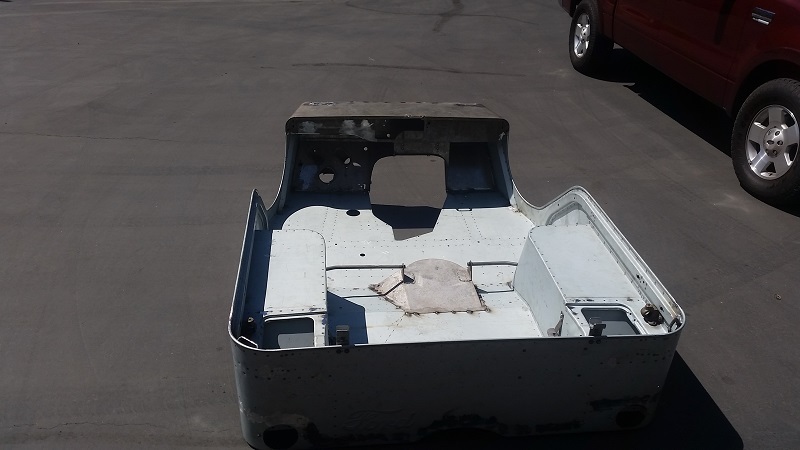 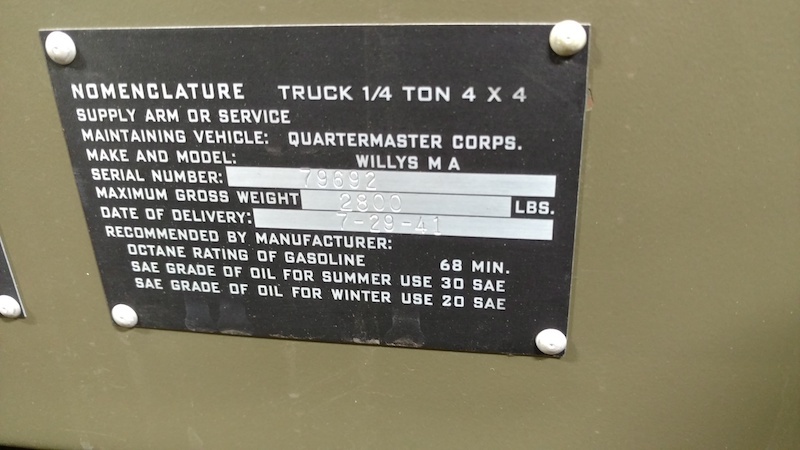 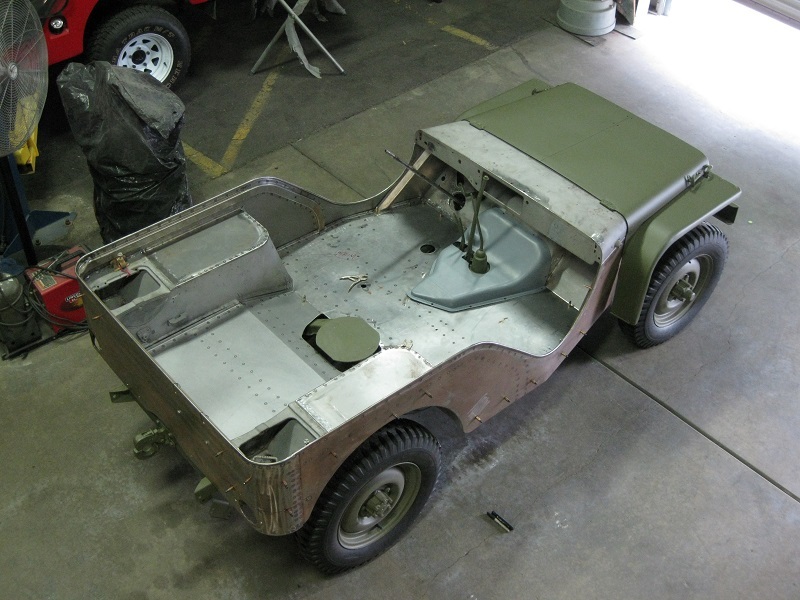 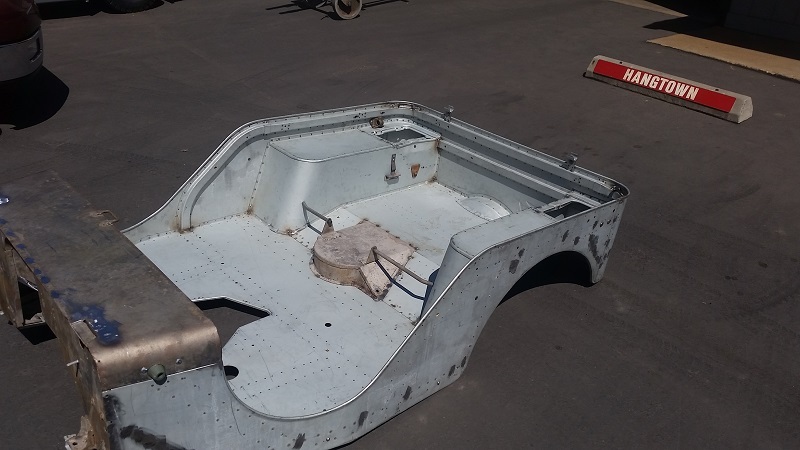 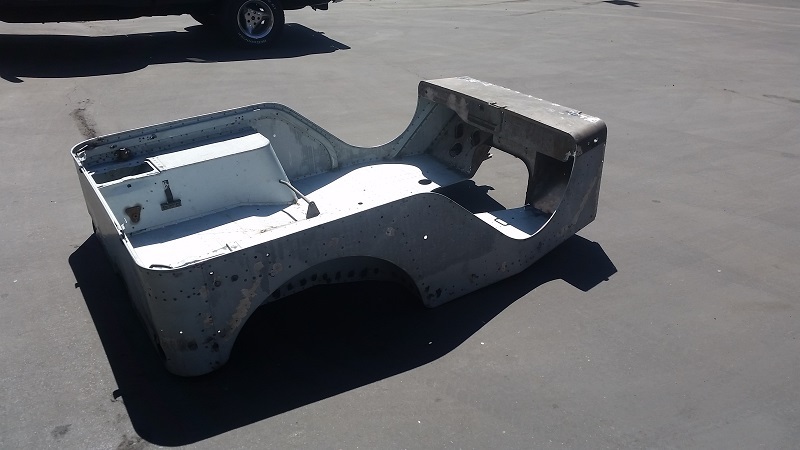 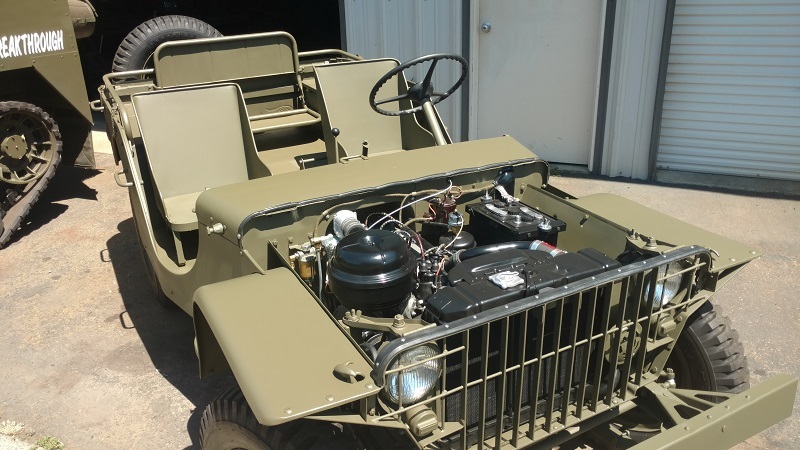 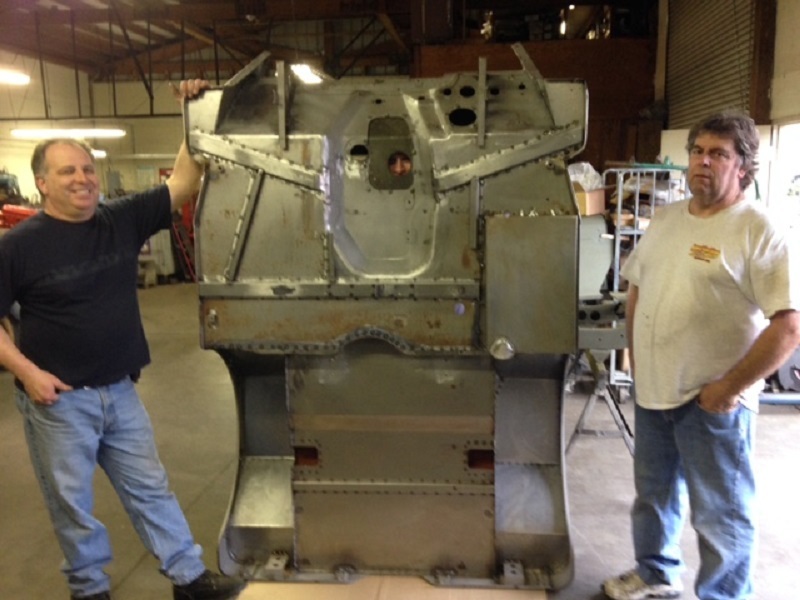 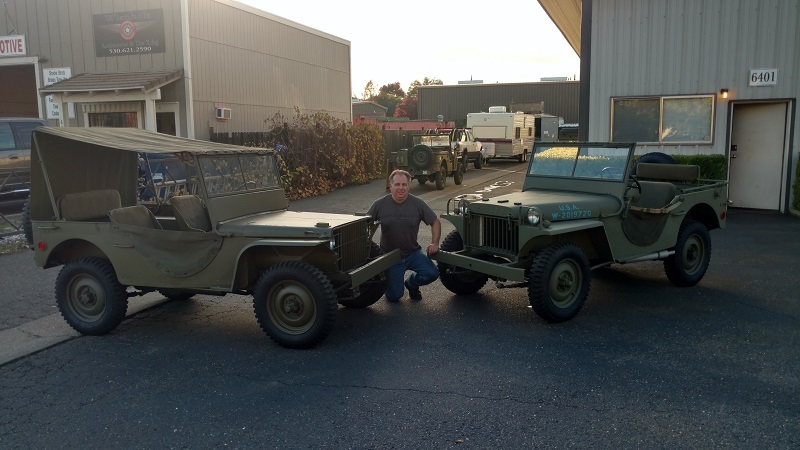 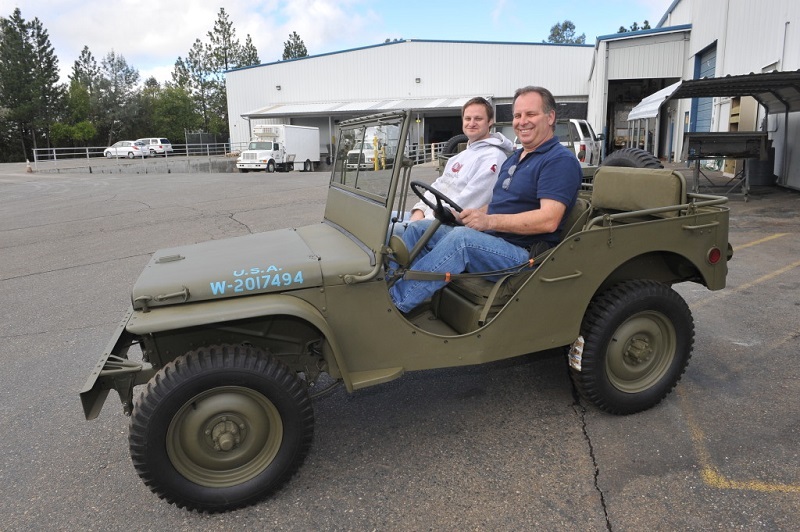 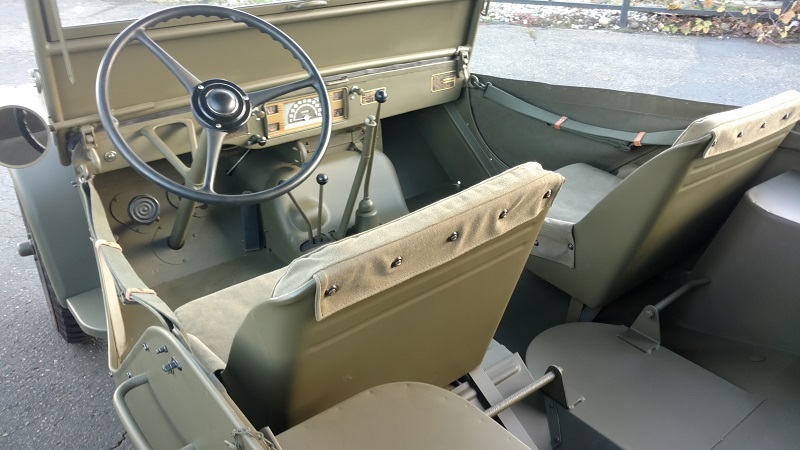 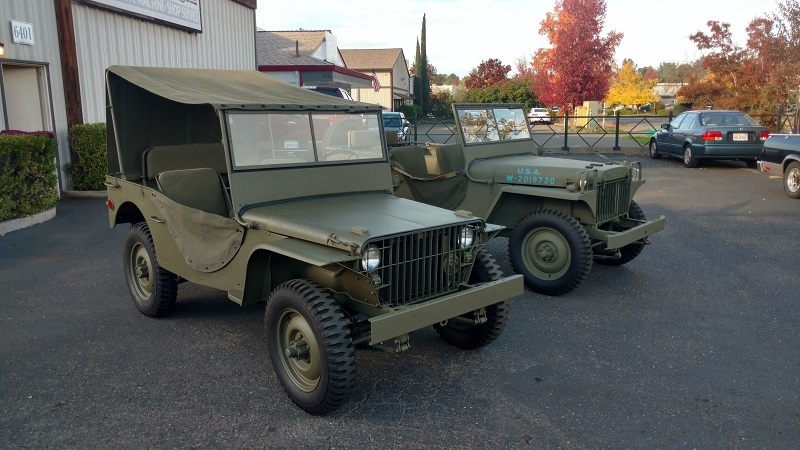 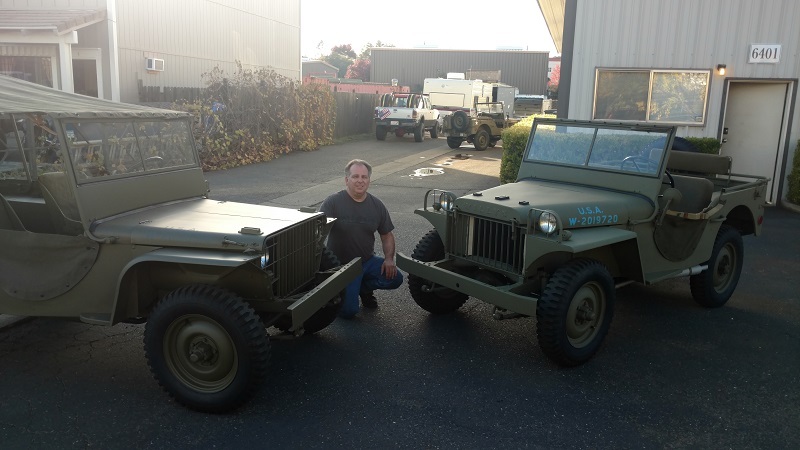 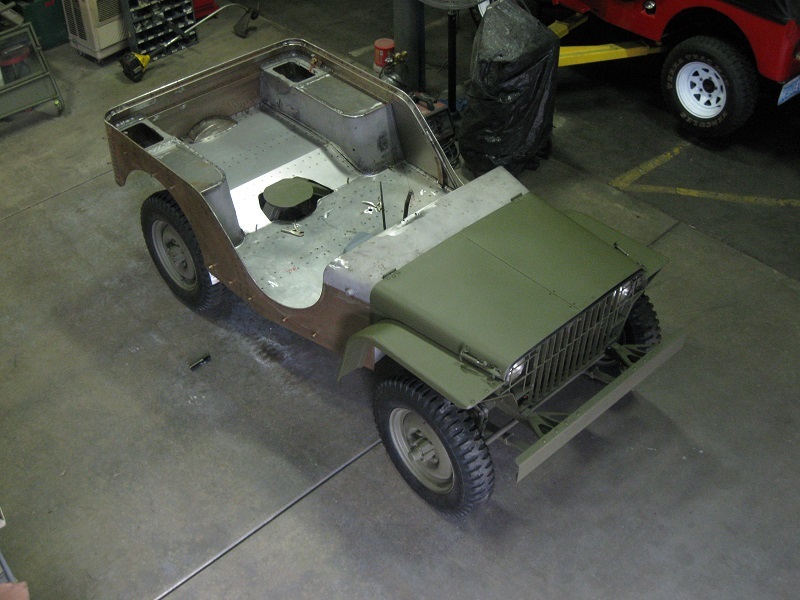 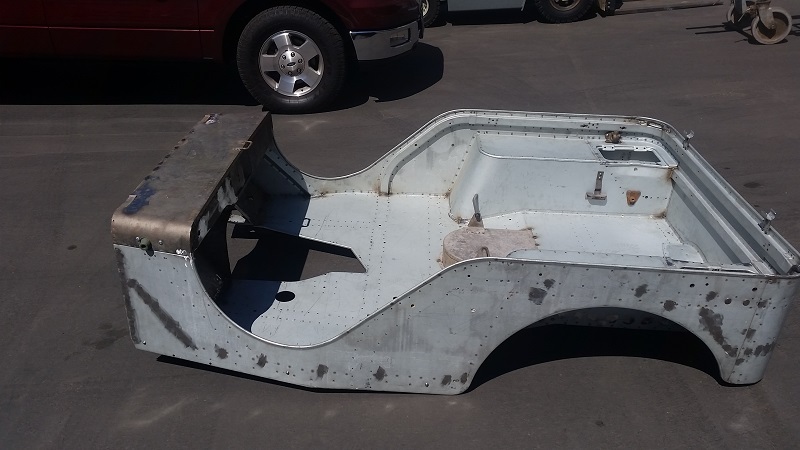 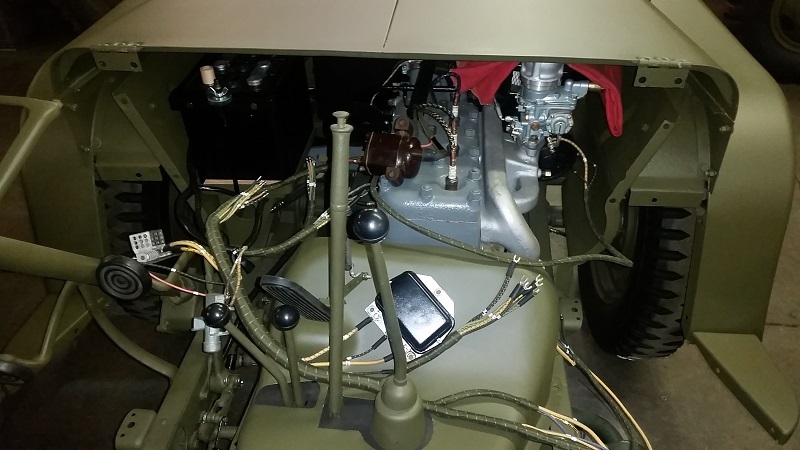 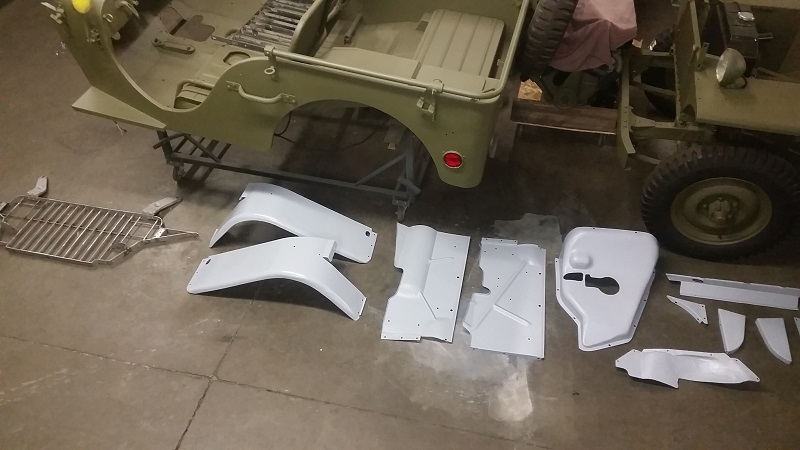 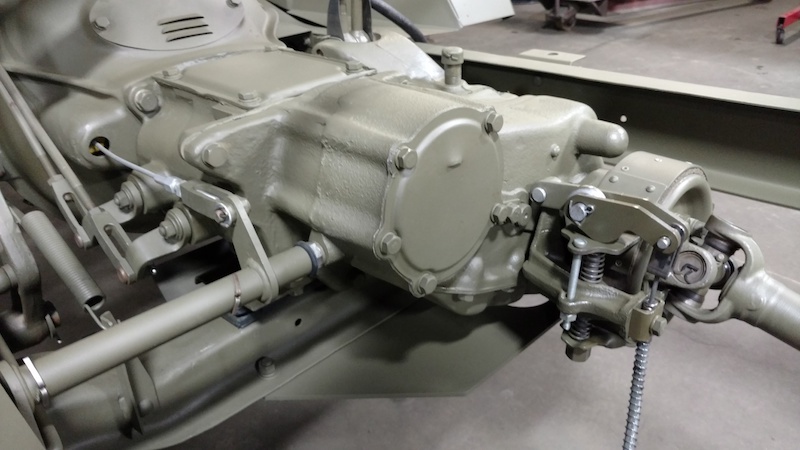 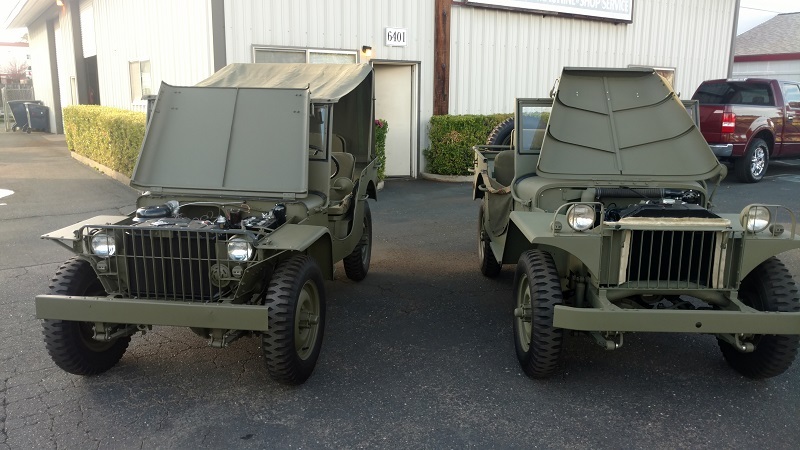 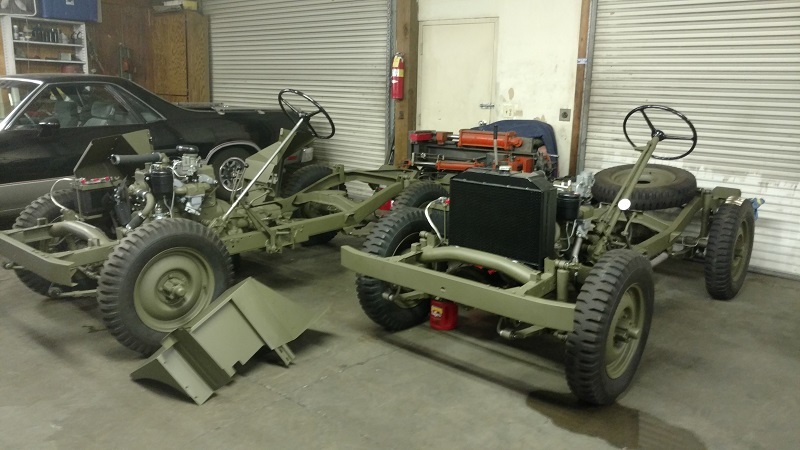 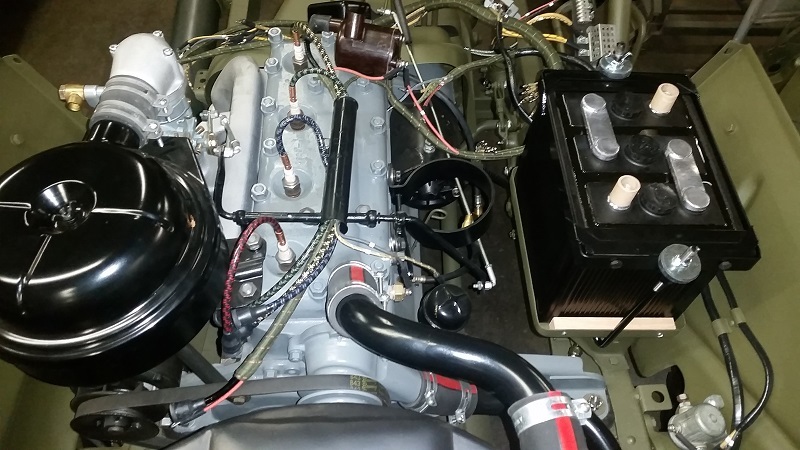 Jimmy Strauss restored this Willys MA and also restored the Willys M38 last year. 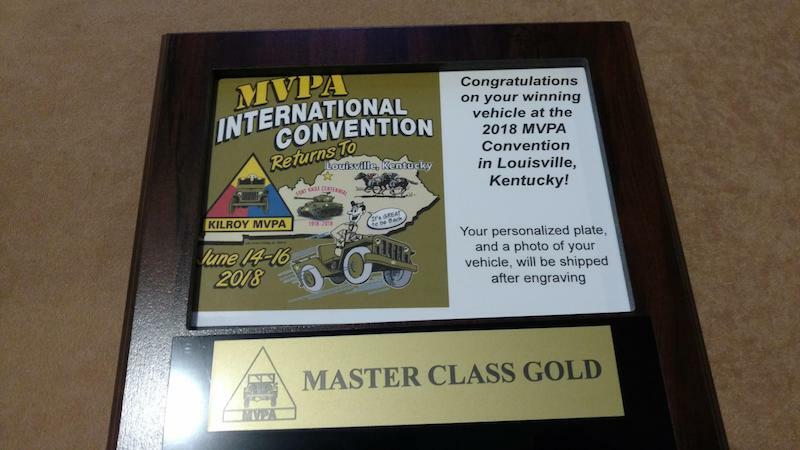 Both appeared at the the Nationals in Louisville Kentucky 2018. 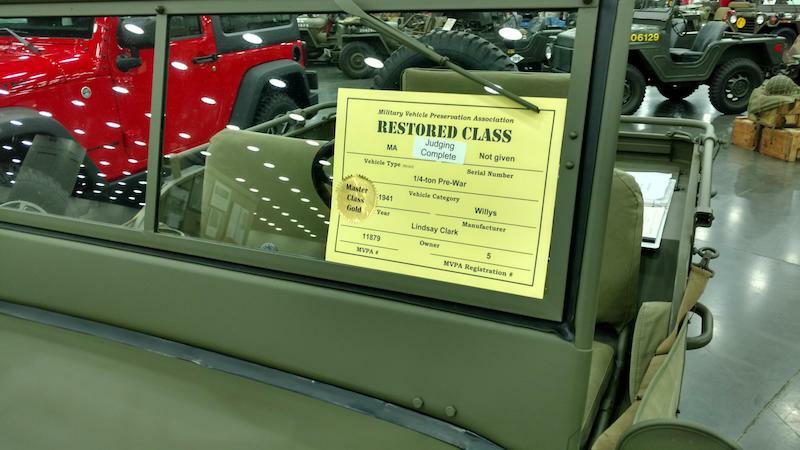 Both Jeeps won a gold in master class this year. 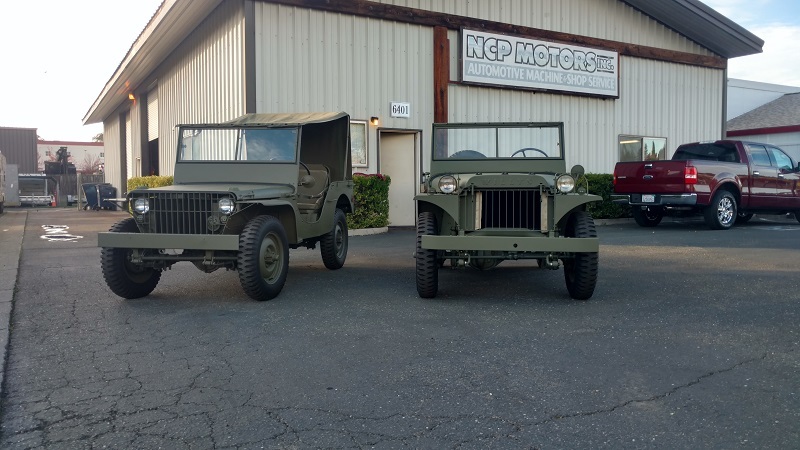 They both got 98. 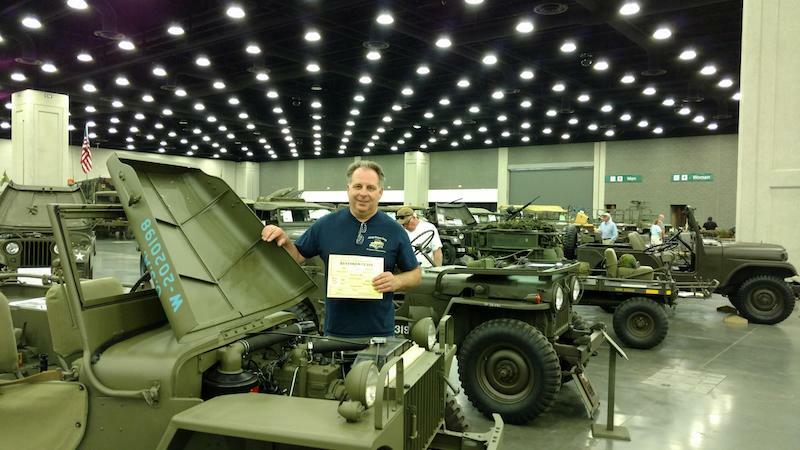 89 percent in judging points.